A little over a year ago our husbands took us for a romantic dinner at the Hyeholde restaurant. 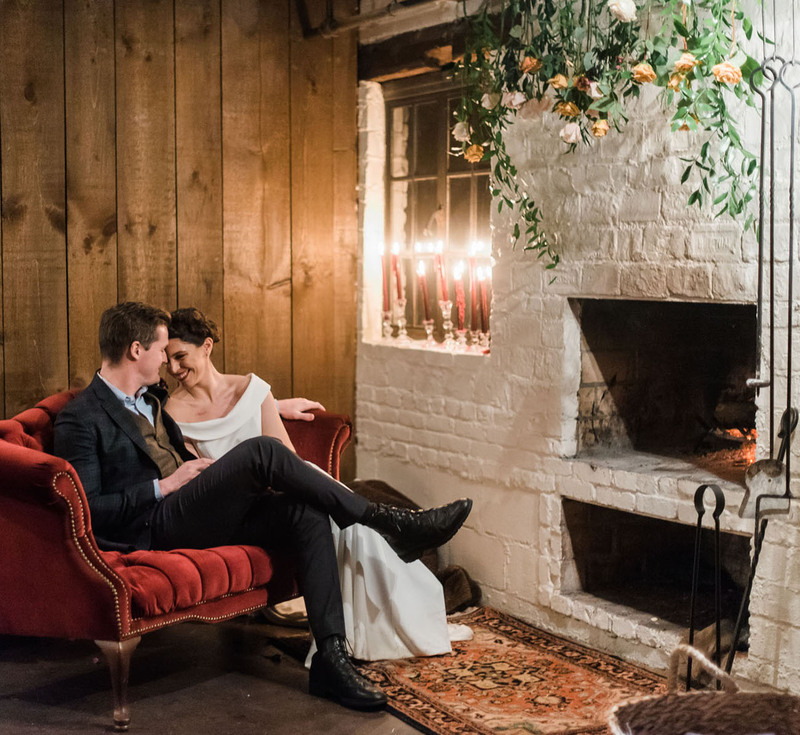 As a sister team with a love of tradition and family history, we instantly felt connected to the space. 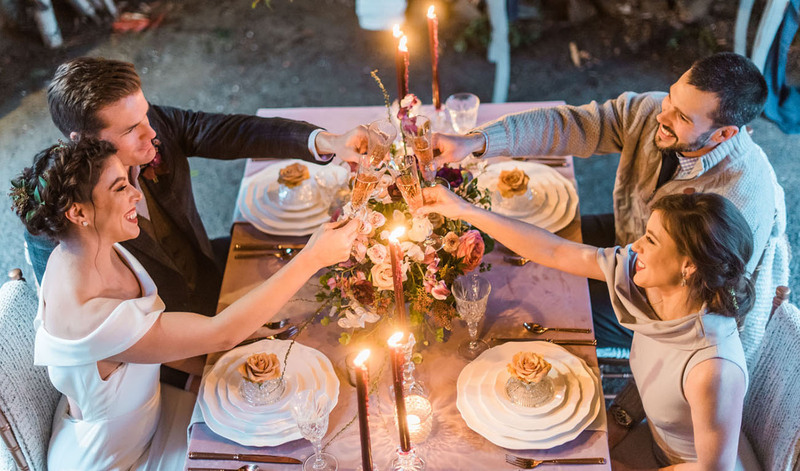 We had an enchanting experience that night and were so inspired by the story of the restaurant. 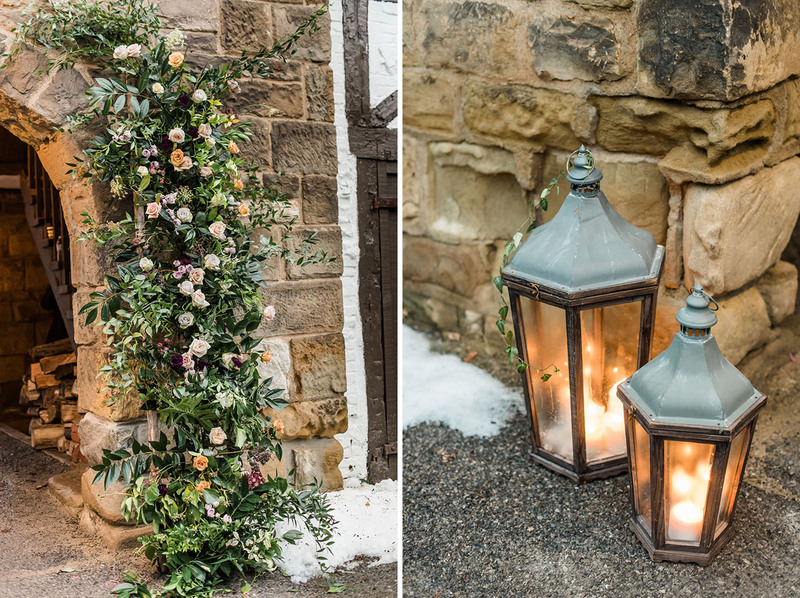 Our goal for the shoot was to blend old world atmosphere with modern wedding trends. 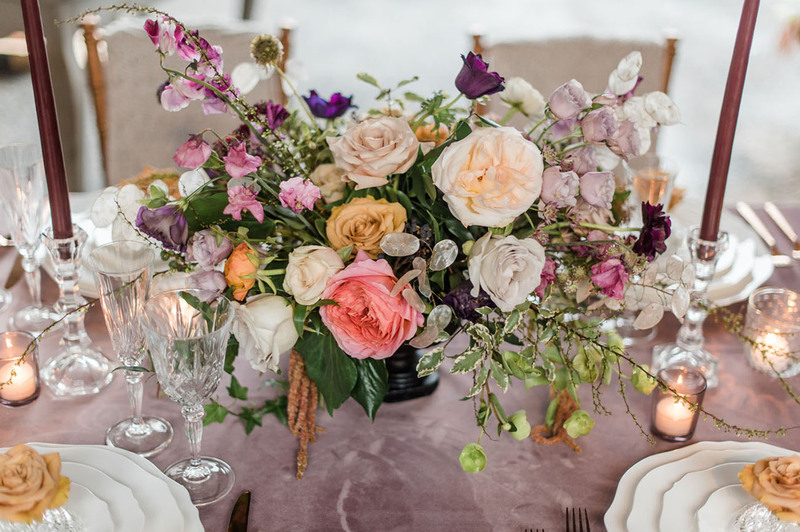 We started with a wintery color palette of dark plums, lavender, icy blues and creams accented by spring-like tones (bright greens, pinks, and oranges). 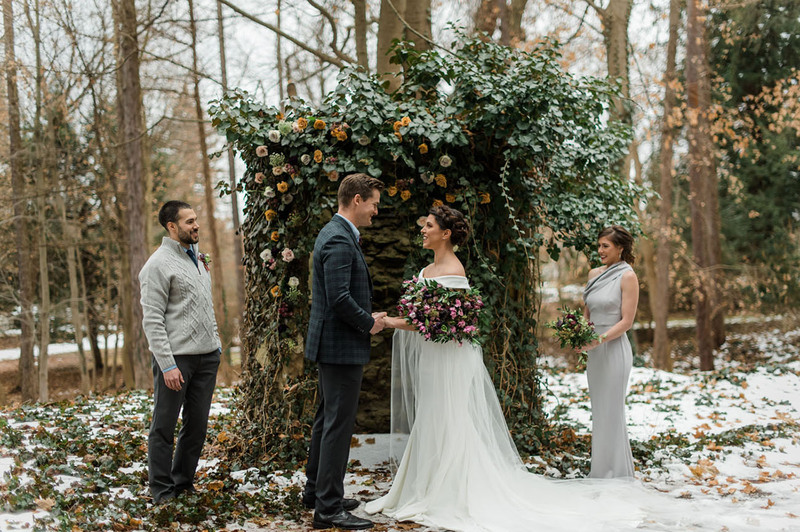 We wanted to colors to feel like a late winter sunset and our design elements to juxtapose icy with warm, and old with the new. 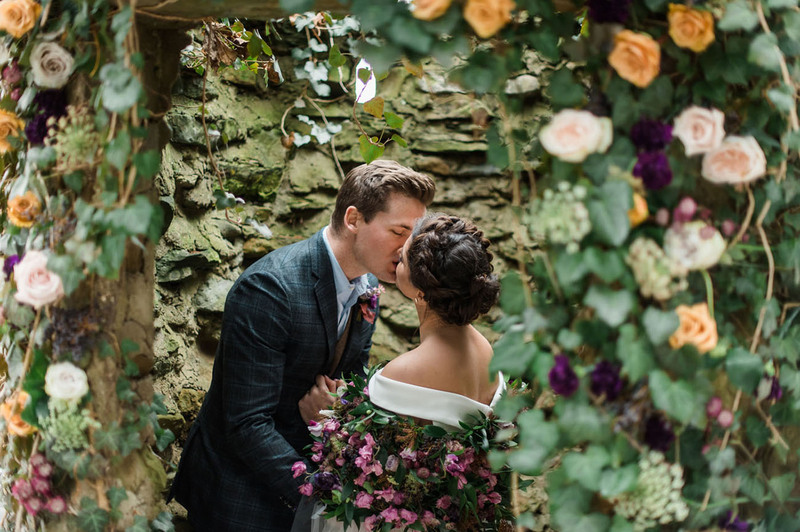 Bethany + Julie are big fans of Dawn Derbyshire‘s ability to capture atmosphere and emotion, so they called on her to photograph the day before undergoing any other plans. Let’s see the magic unfold! 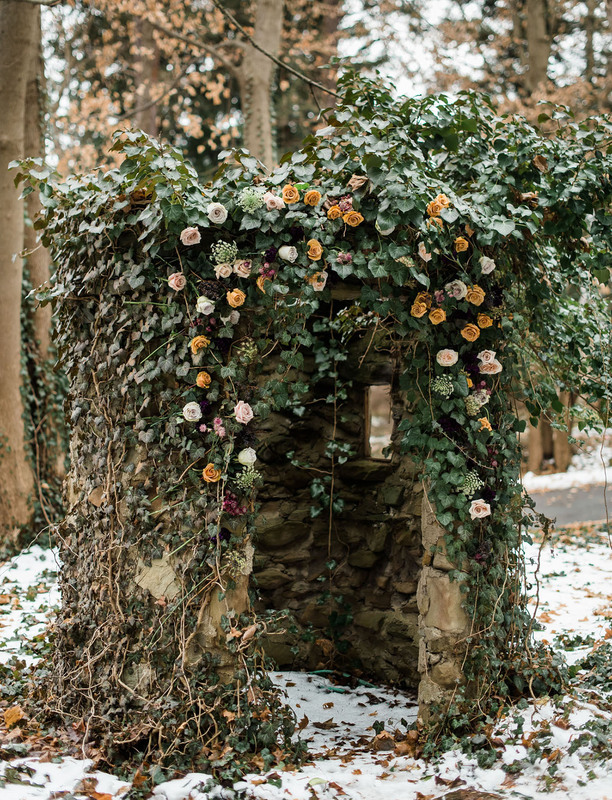 Our goal with the paper goods was to create unique pieces that could later serve as family heirlooms. 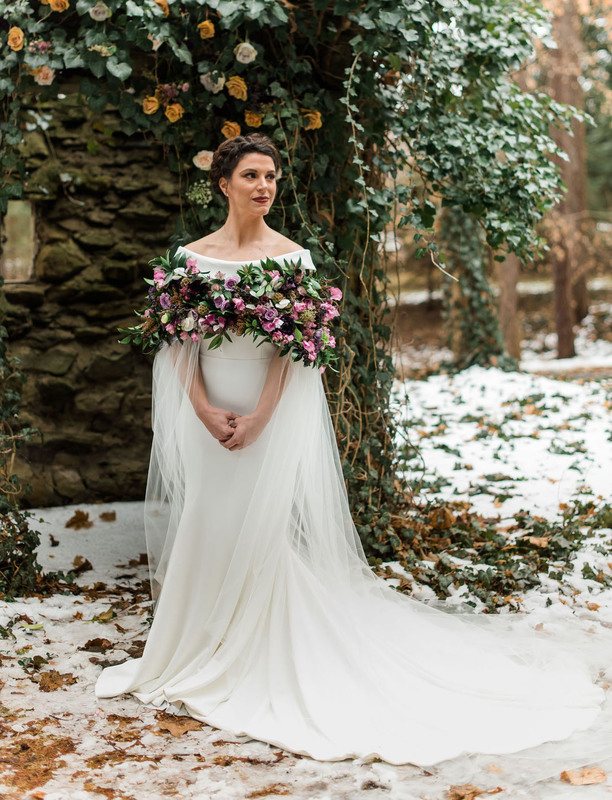 We approached Victoria of Oh Joyful Day with with our vision and she completely blew us away. 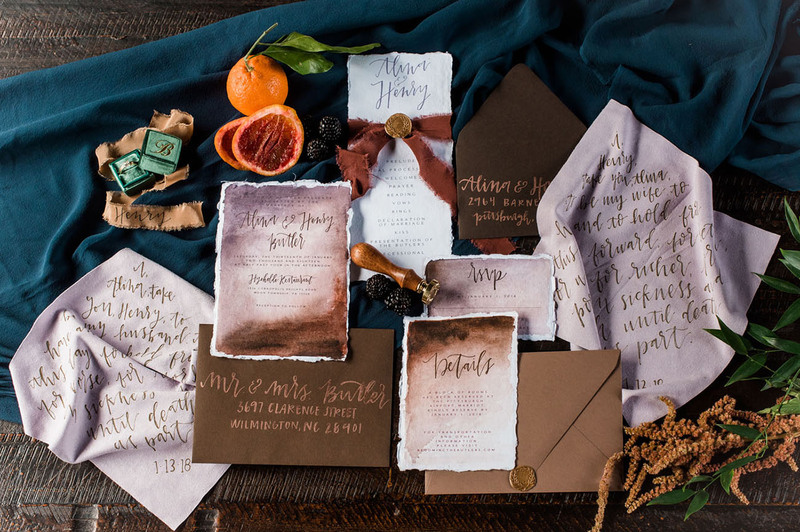 Her watercolor invitation suite that was so rich in depth and color. 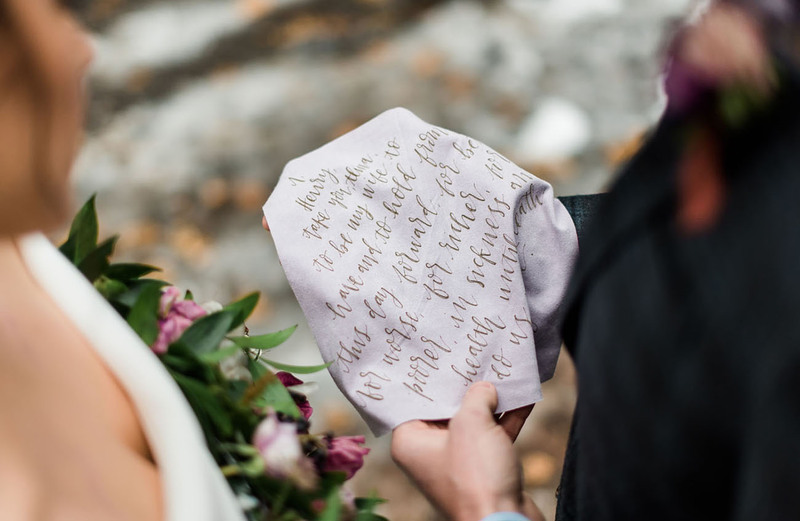 Silk ribbon, wax seals and copper toned envelopes gave a sense of formality to the raw, textured paper. You can just imagine these fabric pieces defying the test of time and being passed down to future generations! 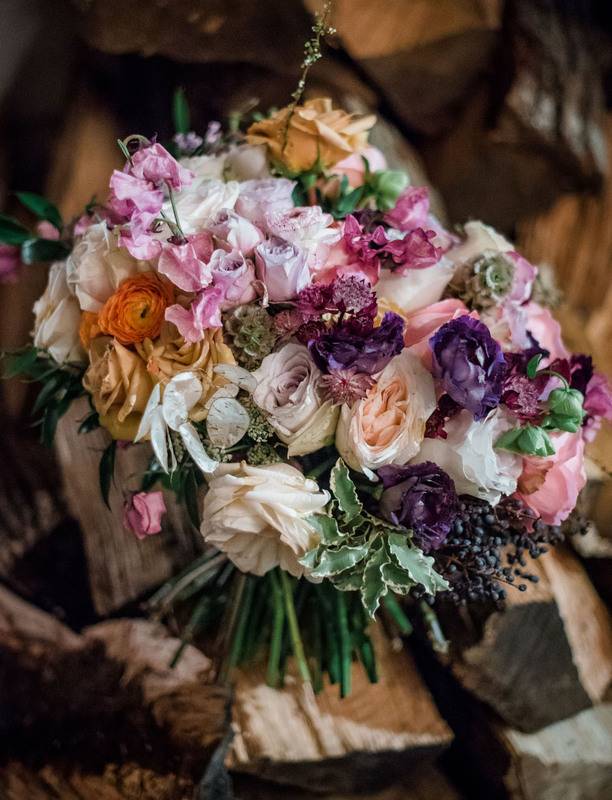 Of course, Sapphire and Lace simply killed it with their florals! 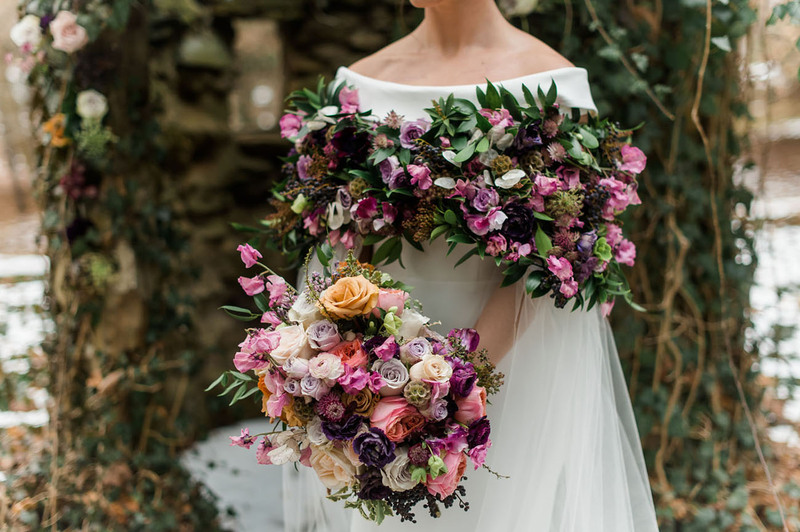 As floral designers we jumped on the opportunity to create a bridal look that might inspire brides to go for wearable florals on their day or to choose a stunning ceremony piece in lieu of a veil. 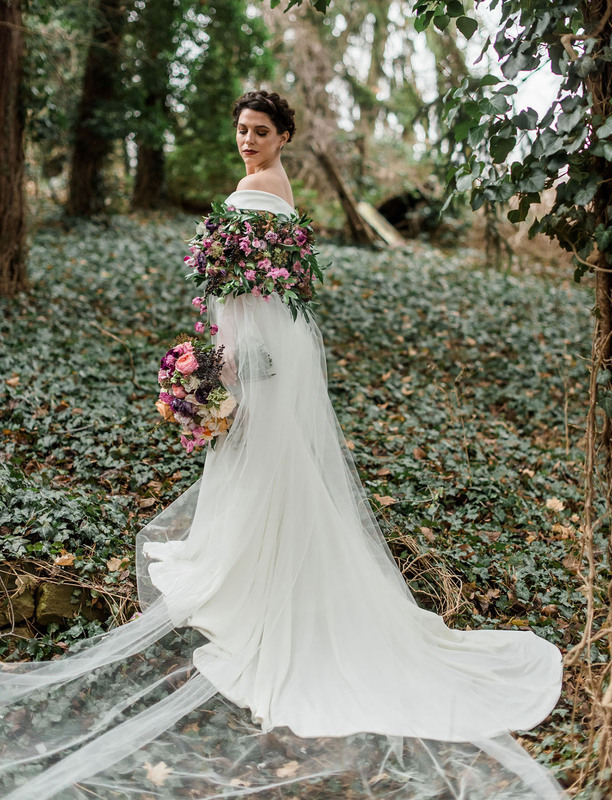 Angelea from Blanc de Blanc Bridal created an amazing cape base of tulle for us to design on, beautifully complimenting the off-the-shoulder gown KWS gown. 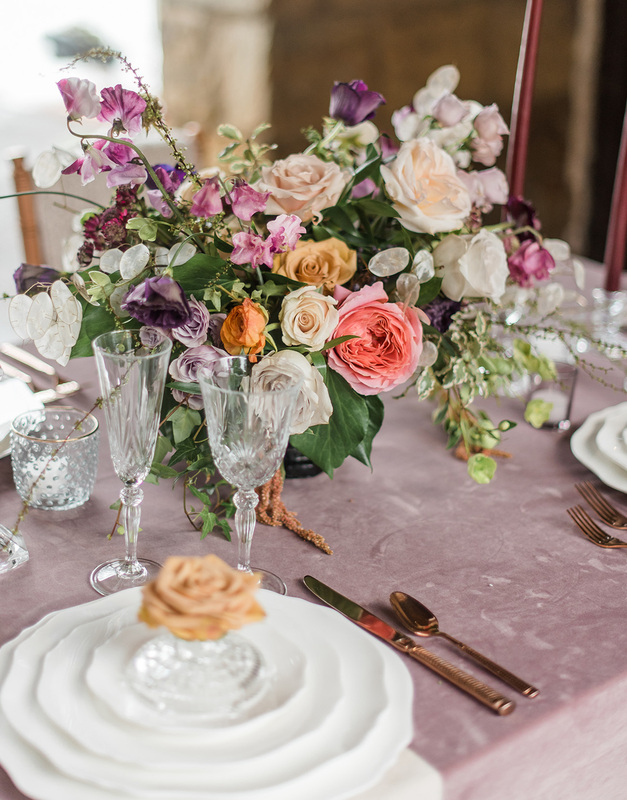 These lavender velvet vow hankies are the perfect touch of timeless meets modern! 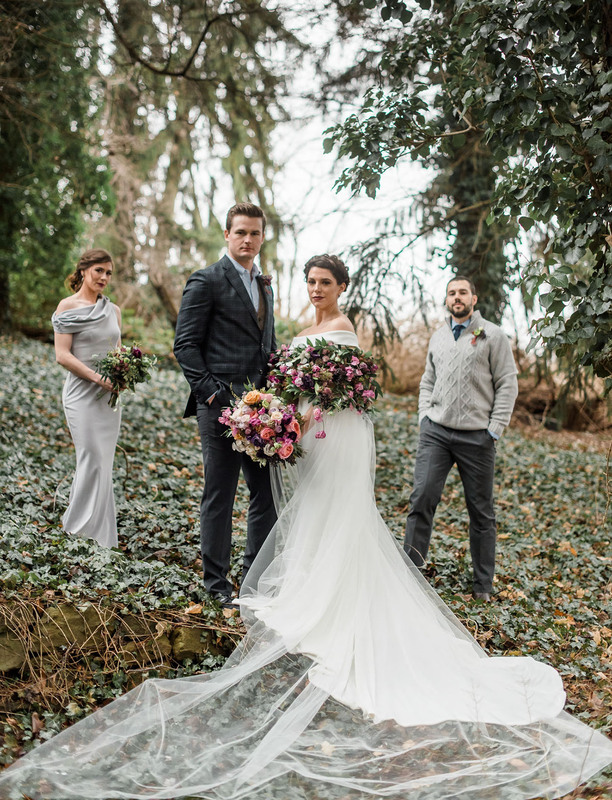 Not feeling the typical best man in a suit? 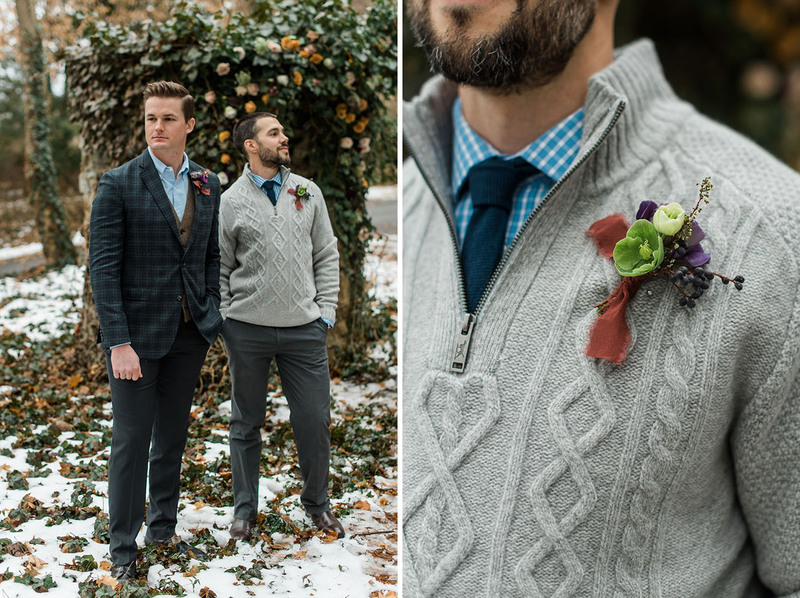 Here’s a classic recipe: button down + tie + sweater. 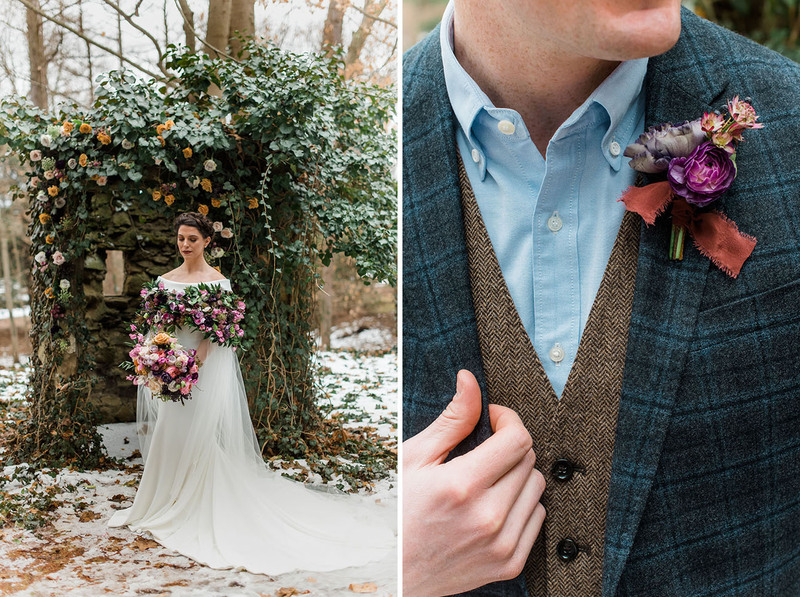 Extra points if the colors tie in with the ‘maids! 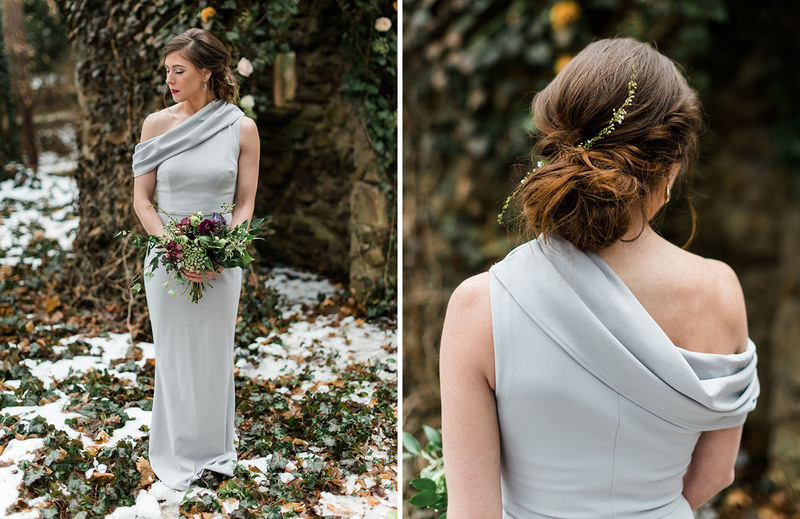 The maid of honor wore a silver crepe gown from Katie May Collection and the ladies flaunted elegant yet relaxed updos by Brides by Benedetti. 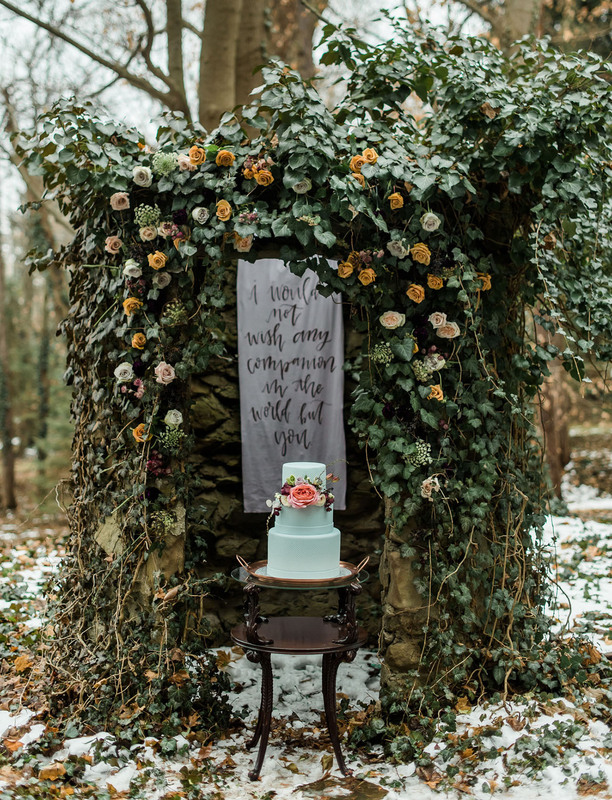 We wanted to shoot the cake in a unique space to get couples inspired to think outside the box for these highly photographed areas. 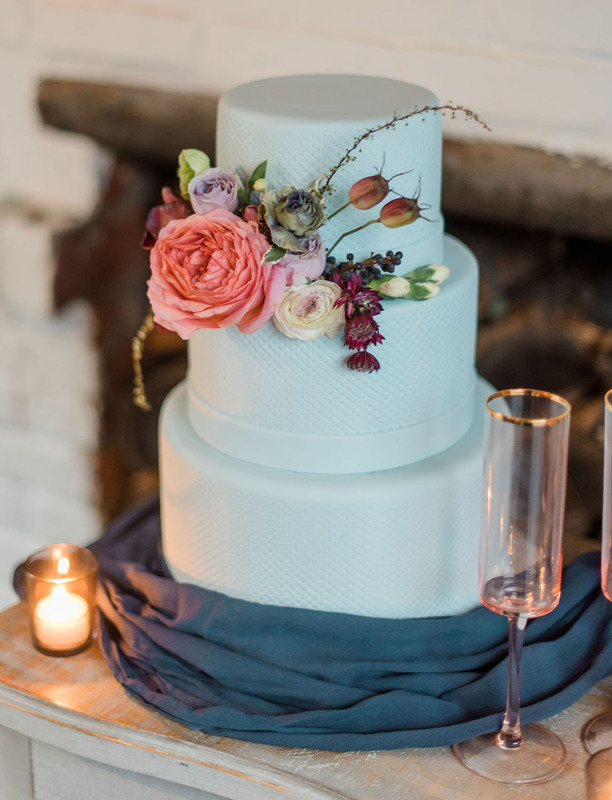 Cathy from Frosted Envy created a beautiful cake of icy blue fondant with a simple texture that translated beautifully from the ceremony space into the reception. 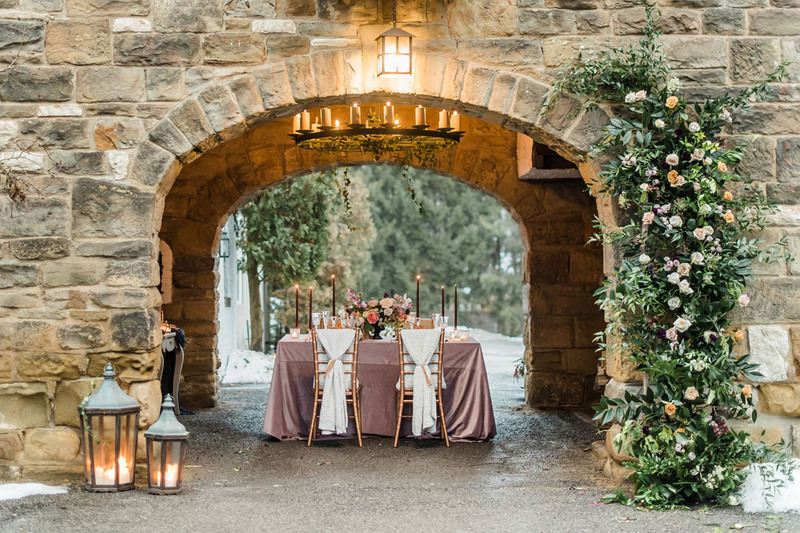 Just look at that dreamy space!! 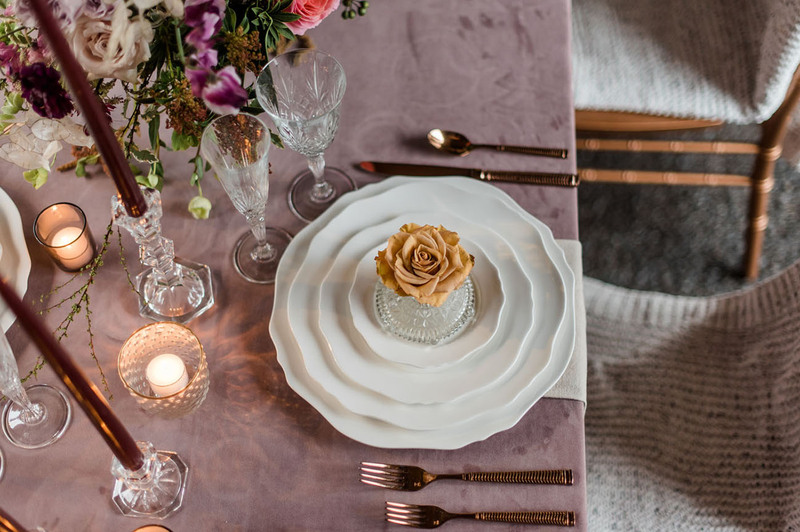 We’re in love with the rose gold/copper trend and these metallics gave the tablescape warmth against the cut glassware and clean white plates. 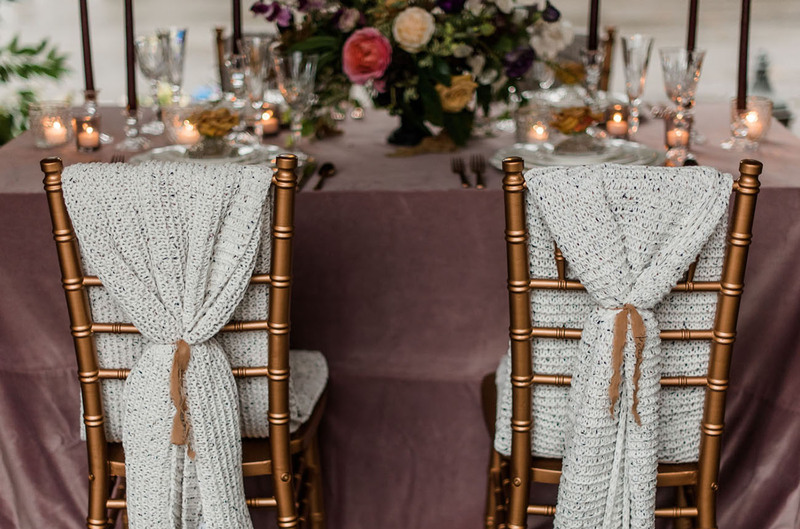 We featured heavy winter textiles with a rose velvet linen and hand woven blankets over the chair backs. 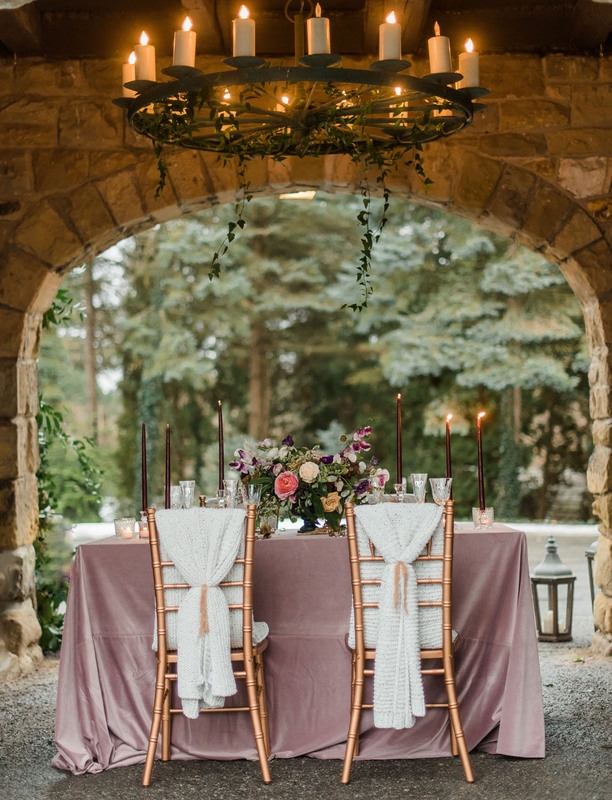 Victoria tied each blanket off with a silk ribbon donning the guests name, serving as their place card and favor, creating a welcoming feel to a formal table display. 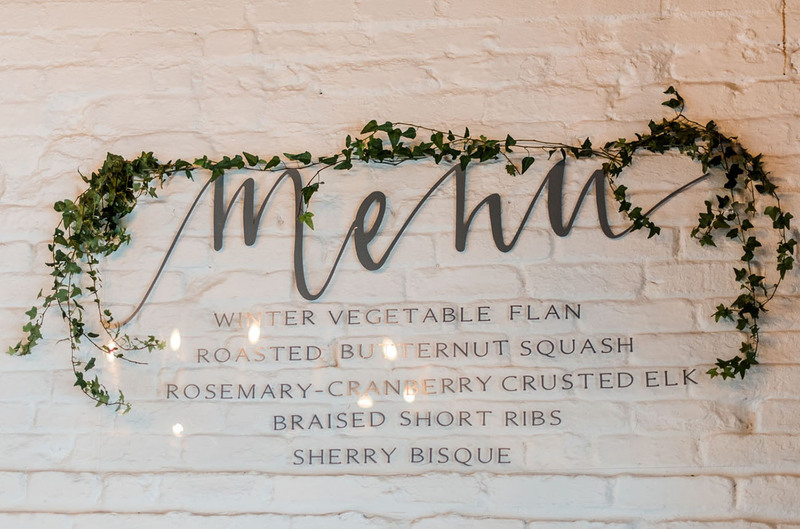 The dinner menu was a nod to the acrylic trend in paper goods and a perfect fit to showcase the beautiful brick building while pulling in those glassy-winter textures. 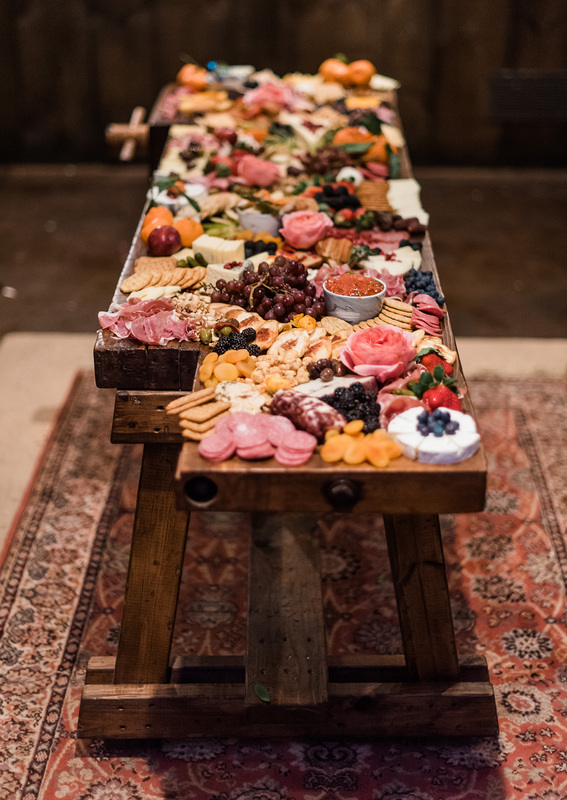 If romance could be personified in food, it would look like an epic charcuterie board, don’t you think? 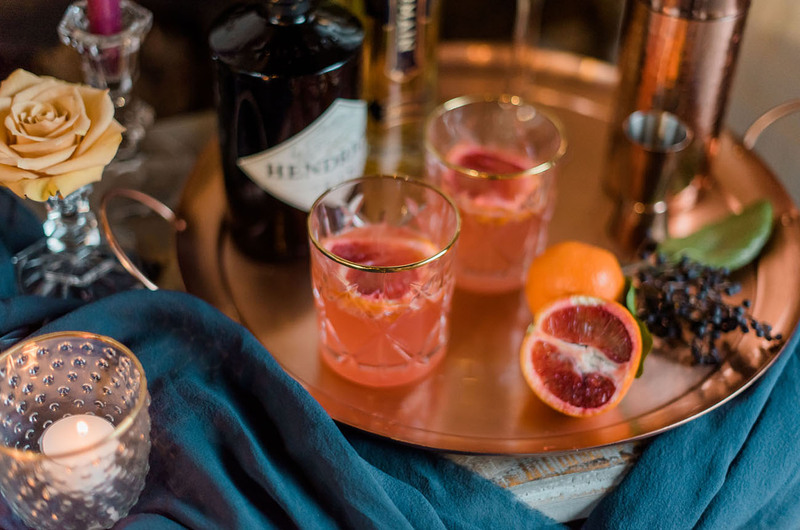 The perfect night cap situation right here! 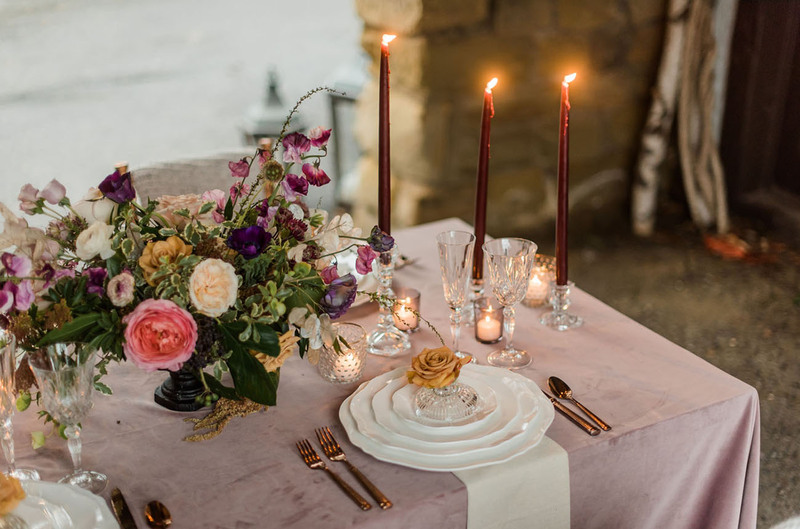 Candles, flowers, fire, and velvet—we’re in. 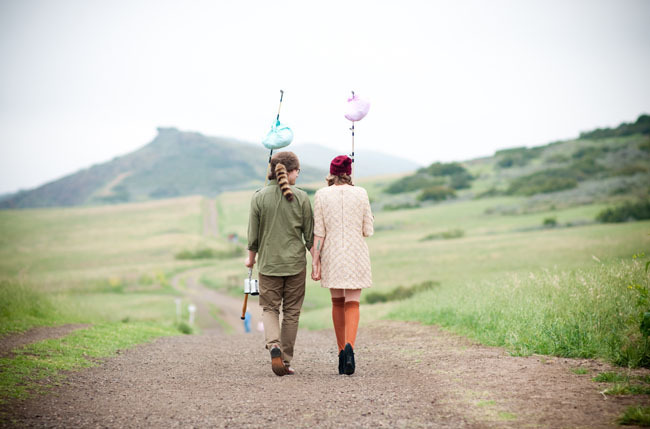 Thanks to the team for sharing the romance with us!